The Fundraising Standards Board has rejected a complaint against Cancer Research UK about its handling of questions on the costs of its face-to-face fundraising. In a ruling published today, the FRSB says that the charity did not breach the Fundraising Promise, which says charities should be honest and open, or the Institute of Fundraising's Code of Fundraising Practice. After a meeting on 20 March, the ruling says, the board unanimously agreed that CRUK handled the complainant’s questions in a "reasonable and fair way" by answering the majority of queries about the costs of street fundraising campaigns. But the ruling cautions CRUK for failing to refer the complainant to the FRSB when it became clear the charity could not resolve the complaint itself. The complainant, described as an "active campaigner" against face-to-face fundraising, first raised concerns with the charity in June 2011. According to the rulling, this person said CRUK failed to provide sufficient answers about the cost of its face-to-face fundraising activities and believed the charity’s response was symptomatic of the wider sector’s "cloak-and-dagger" approach to answering questions about the true cost the technique. CRUK provided information about its return on investment from face-to-face fundraising and information about why it uses the technique and how it monitors the effectiveness of its campaigns. The charity declined to take part in a telephone interview with the complainant about its face-to-face fundraising. The ruling says the complainant was later told the charity felt it had already provided sufficient information and was sent a copy of its annual report, which included more information about its fundraising activity. The complainant, who according to the ruling is writing a book on the pros and cons of face-to-face fundraising, first contacted the FRSB last June after their dialogue with the charity stopped in March 2012. The adjudication says that the FRSB's board found the charity did not abide by its three-stage complaints process because it did not refer the complainant to the FRSB when it became clear it could not resolve the matter. But the adjudication says the board was "encouraged by the reassurances Cancer Research UK had made that this would not happen again". Colin Lloyd, chair of the FRSB, said: "Disclosure of information such as the cost of charity fundraising campaigns is a very sensitive area. It is crucial that charities are open and honest with supporters, but at the same time the board understands that they cannot give away commercially sensitive information – nor would we expect them to. "It can often be a difficult judgement call about where to draw the line, and we feel that CRUK took a balanced and reasoned approach." 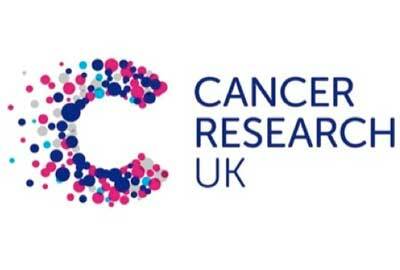 A CRUK spokesman said: "We are pleased that the FRSB board unanimously agreed that Cancer Research UK had handled the complainant’s queries in a reasonable and fair way, showing our commitment to open and honest fundraising."